A rough opening is the opening that is left in a frame wall where the window frame will sit. 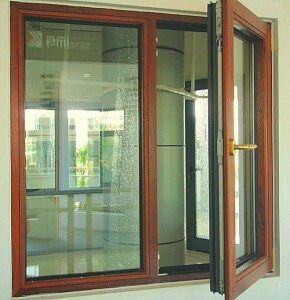 The measurements of the rough opening will be important for you to choose the right window frame size. The actual window size will be lesser as the frame will have a header, sill, and vertical trimmers that will have to fit in. Considering the difference in measurement between a rough opening and a window frame, here are a few pointers to measure the windows for your rough opening. When measuring the width, always measure between the inside faces of the framing on each side. You will need to measure both for the top and bottom of the window. For the height, measure the opening between the top of the sill and the bottom of the header. You will also have to measure the right, left and center of the opening. Remember that you will have to allow room for the flashing on all sides of the rough opening. You will have to deduct 5/8 inch from the height that you measured and ½ inch from the width. Sounds a bit complicated? You don’t have to worry about this when you call in the experts from Chicago Windows & Doors. They will sort out the measurements and advise you on the best windows for your home.